The movement to have a National Law Students' Association of Nigeria (LAWSAN) took a giant leap with delegates from some Universities in Nigeria coming together on the 14th and 15th of November, 2015 to discuss and map out modalities for the formation of the association. 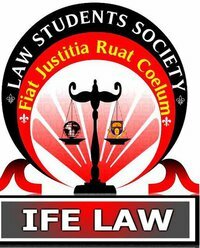 The historic meeting was held at the Faculty of Law, Obafemi Awolowo University under the hosting leadership of Mr Olaniran Quadri, the President of the Law Students' Society, Obafemi Awolowo University. 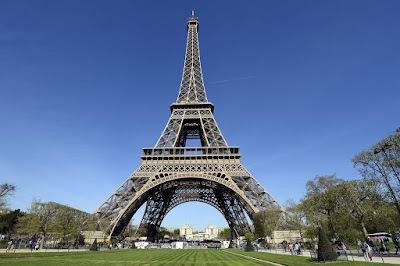 The meeting centred upon crucial matters such as: the need for a national body, aims and objectives of such body, sponsorship for the association as well as issues relating to the constitution and convention of the association. As part of support to educational development and human capacity building, Mobil Producing Nigeria (MPN), operator of Nigerian National Petroleum Corporation (NNPC)/MPN Joint Venture awards annual scholarships to qualified undergraduate students in Nigerian Universities. Applications for the 2015 NNPC/MPN Undergraduate National Scholarship is now open. 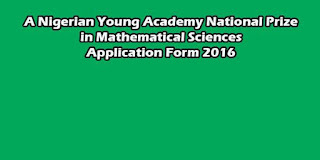 The Nigerian Young Academy (NYA) was established in August 2010 by the pioneering effort of the Nigeria Academy of Science (NAS), supported by Nigerian Academy of Education (NAE) and the Nigerian Academy of Engineering (NAEng). The NYA was established to provide recognition for excellence and raise the profile of young researchers in Nigeria. Additionally, members would play a crucial role as inspirational figures for a new generation of researchers and impact on the society through their research. The NYA is the unified platform for the exchange of ideas across disciplines and regions, nurturing outstanding and aspiring youthful researchers and professionals towards improving the state of the nation. The Public Relations Officer of the Obafemi Awolowo University Students' Union, Ojedokun Emmanuel a.k.a Immanuel Kant during the early hours of yesterday caused a scene at ODLT 2 where an English course was going on. The Union officer had come to interrupt the class in a bid to make an announcement. Not pleased with Kant's request, the lecturer sent him out denying him the opportunity to address the students. After some sort of heated arguement, Kant succumb to the lecturer's wish until the Secretary General of the Students' Union, Oketooto Oluwaseun a.k.a Honourable Seun came to the scene where he insisted the lecturer was not going to continue with his lecture unless the announcement was made. The new challenge was sufficient to bring the class to an abrupt end as the lecturer walked out of the class. The General Superintendent of Deeper Christian Life Ministry, Pastor W. F. Kumuyi will be visiting Ile-Ife for an open air crusade which is billed to start on Thursday, 18th November, 2015. The two-day crusade is expected to hold at Oduduwa College, Sabo, Ile-Ife by 5pm daily. 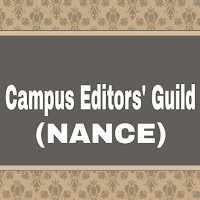 Student Editors in Nigerian tertiary institutions will officially unveil a national guild of campus editors’ association, which is tagged National Association of Nigerian Campus Editors (NANCE) on Monday, 16 November. The association which is aimed at having a unitary voice among all campus editors will be unveiled by 11:00 am across the country and will mark a milestone in the history of Nigerian campus journalism. Speaking to our correspondent, Oyedeji Olanrewaju, the Chairman of NANCE and student Editor at Obafemi Awolowo University, Ile-Ife, expressed gratitude to the founders of NANCE for making it a reality. 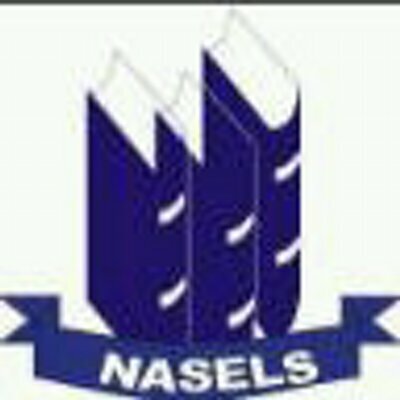 “I’m so happy that NANCE has become a reality, we have always thought of it but today we are officially unveiling the national body of this great association of Nigerian campus pen-pushers. First off, I would like to say that this is simply my perspective. If you do not agree with it, it’s alright and I would in fact appreciate a lucid comment detailing why. 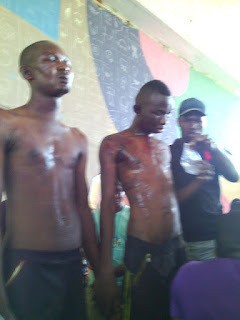 It was a bloody day for two thieves as they were caught during the early hours of yesterday at ETF hall of residence. The thieves identified as Tope and Ogbe are non-students who hail from Ondo state and Edo state respectively. Tope met his waterloo when one of the occupants of ETF raised an alarm that his laptop was missing in the reading room coupled with a concurrent alarm from a cleaner that her phone was also missing. Following the arrest of Tope, his confession aided the Students' Union Security Committee to apprehend his criminal partner, Ogbe. They both confessed to have been operating on Obafemi Awolowo University campus since Monday and strategically distributed each other with Tope operating in ETF and Ogbe operating in Fajuyi hall of the institution. This is to inform the general public that Azeez Mubaraq who was a member of OAU Peeps News Agency has been dismissed from the organization. This is part of the re-organization announced during the agency’s last meeting. The agency hereby urge members of the public especially Obafemi Awolowo University to note this change. Any inconvenience that may arise after now will not be a responsibility of OAU Peeps News Agency.